Guisela Latorre specializes in modern and contemporary U.S. Latina/o and Latin American art with a special emphasis on gender and women artists. Her first book titled Walls of Empowerment: Chicana/o Indigenist Murals from California (U. of Texas Press 2008), explored the recurrence of indigenist motifs in Chicana/o community murals from the 1970s to the turn of the millennium. Her other publications include “Border Consciousness and Artivist Aesthetics: Richard Lou’s Performance and Multimedia Artwork” in the American Studies Journal (2012), “New Approaches to Chicana/o Art: The Visual and the Political as Cognitive Process” in Image & Narrative (2010), and “Icons of Love and Devotion: Alma López’s Art” in Feminist Studies (Spring/Summer 2008). 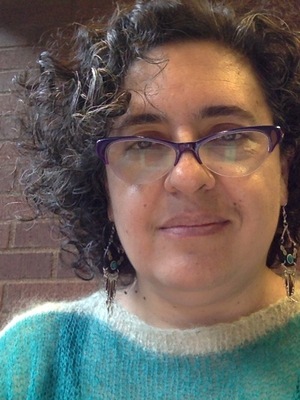 Latorre’s recent research activities include the co-editorship of the feminist journal Frontiers: A Journal of Women Studies and work on a second book project of the graffiti and mural movement in Chile during the post-dictatorship era. She teaches classes on Latina/Chicana feminism, visual culture and Latina/o art.